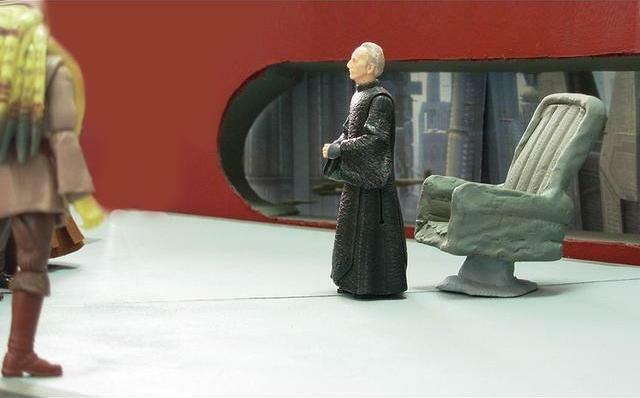 At the time, there was great unrest in the Galactic Senate. 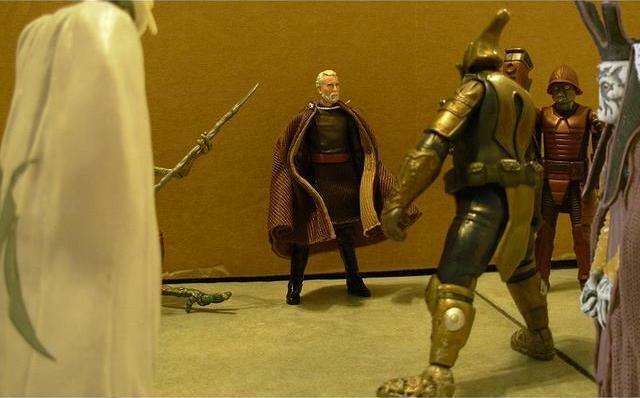 Several hundred solar systems under the leadership of the rebel leader Count Dooku had declared their intentions to leave the Republic, and the panic caused the Senate to suggest making an army to protect the Republic. 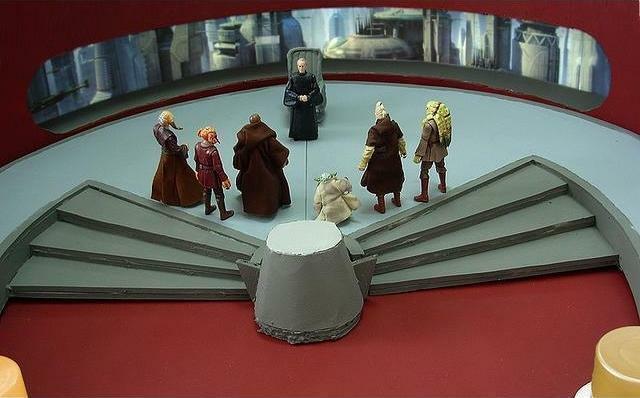 In his office on Coruscant, Supreme Chancellor Palpatine discussed these matters with six Jedi Masters. 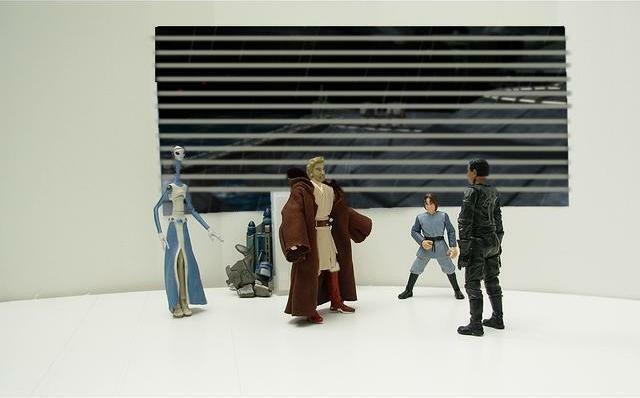 “If they do break away…” one of the Jedi Masters started, but was interrupted. 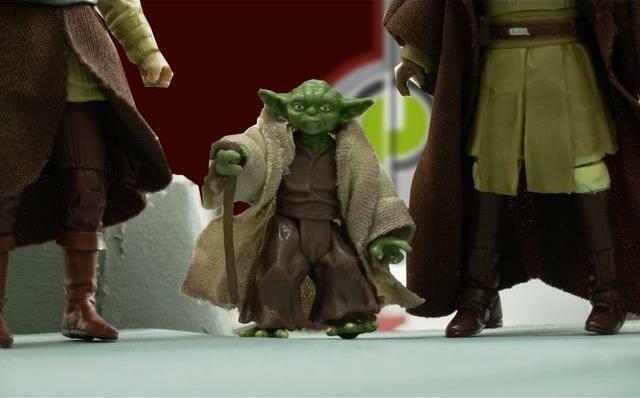 “Master Yoda, do you think it will really come to war?” Palpatine questioned. 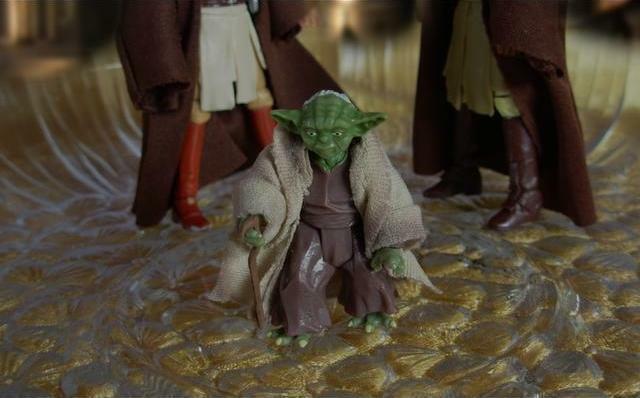 “Master Yoda, what do you sense?” asked an alarmed Chancellor. 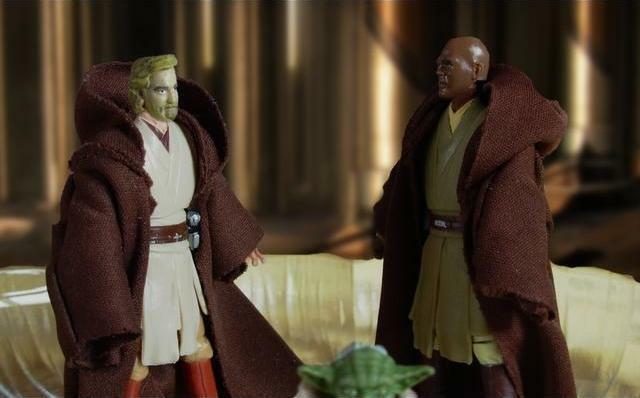 Meanwhile, an older Obi-Wan Kenobi discussed with Master Yoda and Windu his twenty year old Padawan, Anakin Skywalker, who was about to go on a mission. 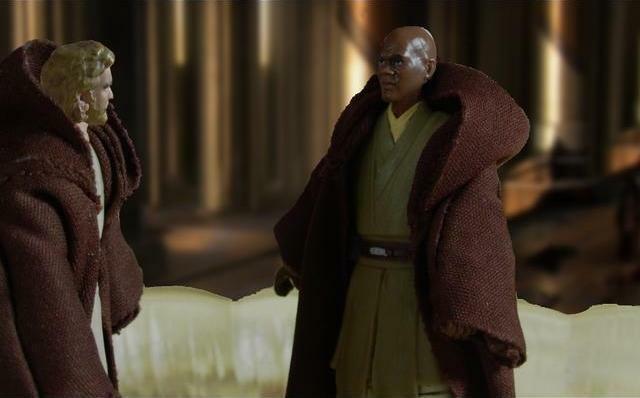 “If the prophecy is true, he is the one who will bring balance to the Force,” answered Mace Windu. 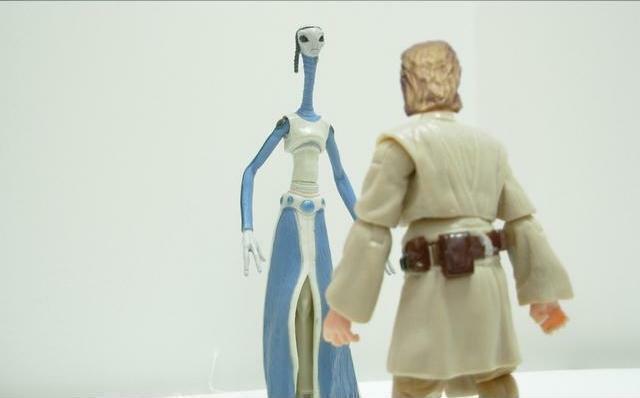 …tracking them down had been easy, but by the time he found her, she was just about to die. 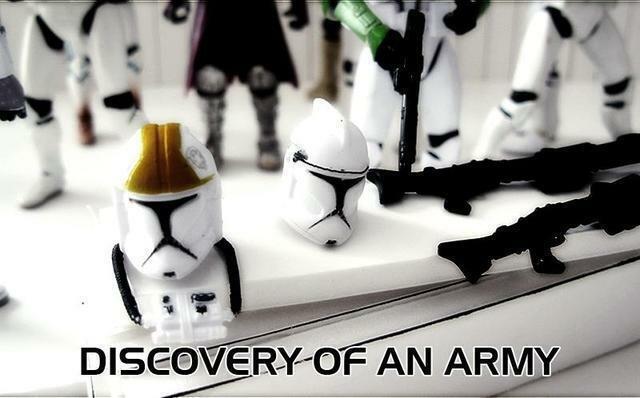 …not one of them was left alive. 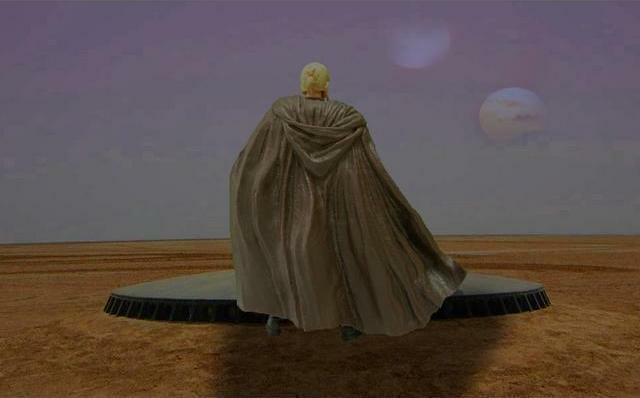 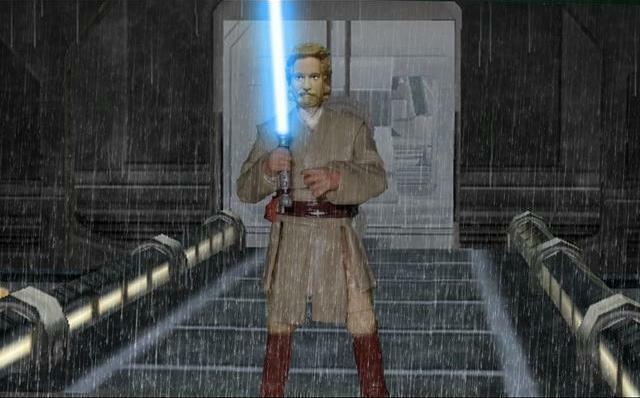 Following his own duty, Obi-Wan Kenobi traveled to the rainy planet of Kamino, following a mysterious trail that had started with an assasination of a Senator. 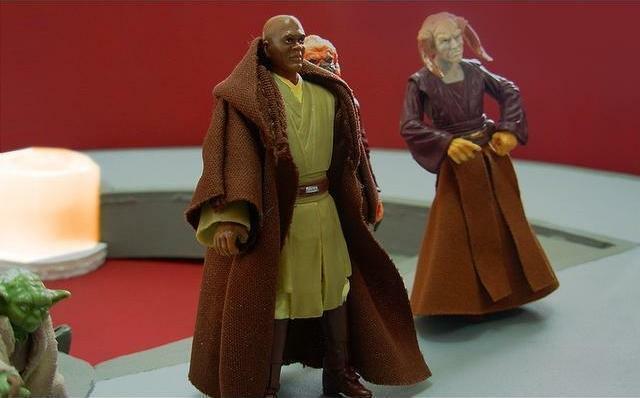 “I’m expected?” the Jedi asked with a clueless looked, for he had made no appointment. 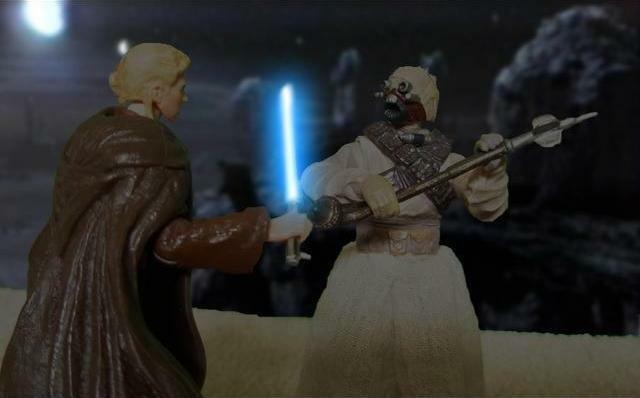 “Master Sifo-Dyas was killed, almost ten years ago,” said Kenobi, though they never really found out how. 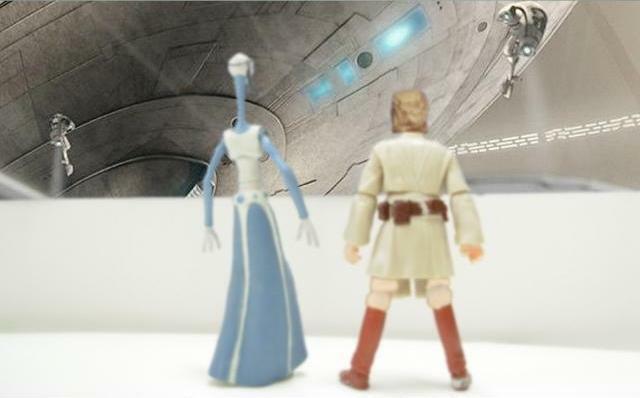 Following Obi-Wan’s confused look, the Kaminoan, who was called Taun We, took him to a viewing window. 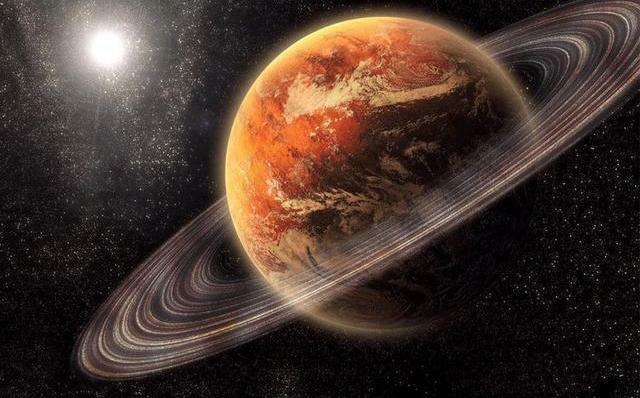 Far below, several beings in armor were claiming different weapons and helmets with visors in the shape of a ‘T’. 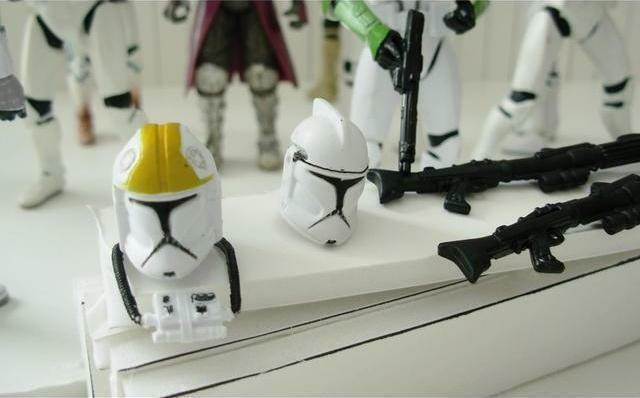 The ones without their helmets on seemed to have similiar faces, besides, perhaps, some age differences. 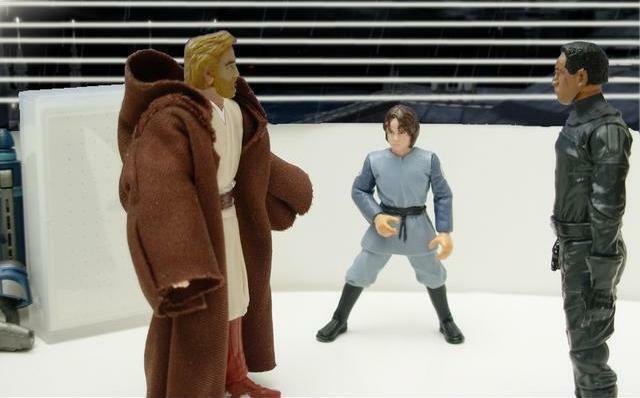 They moved along to the next window. 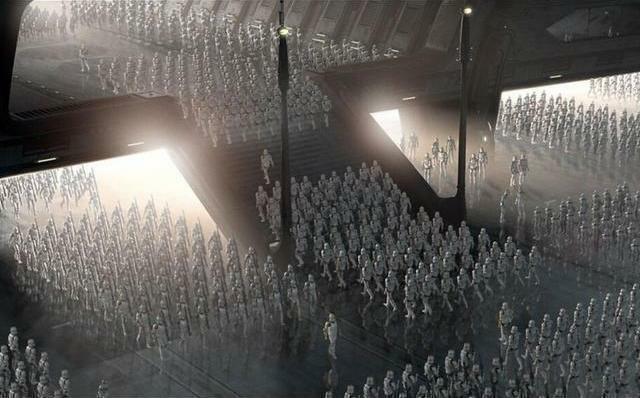 Faces covered by helmets, thousands of clone troopers boarded a transport. 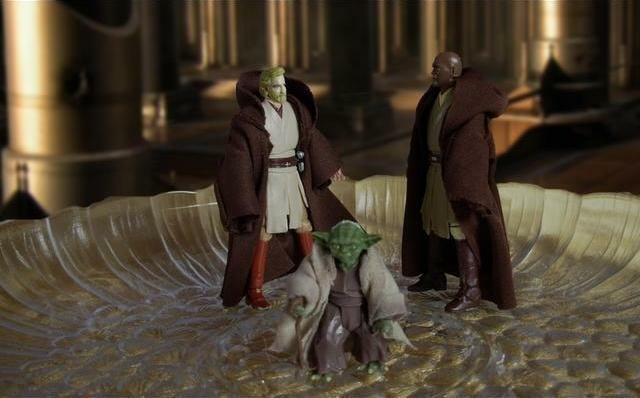 The Jedi gave a small nod. 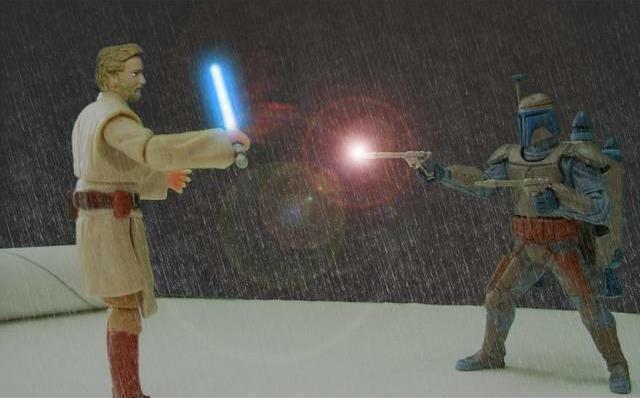 As requested, Obi-Wan later met with the bounty hunter, Fett. 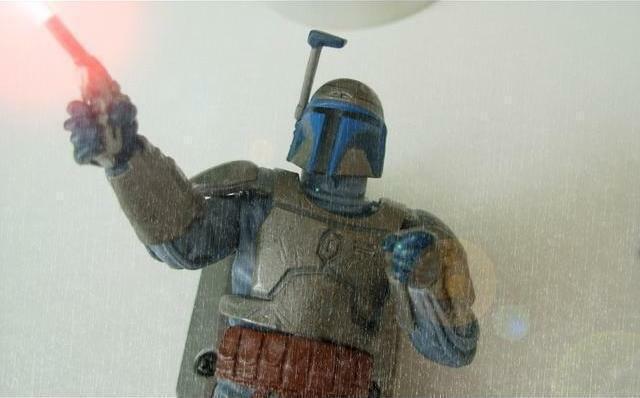 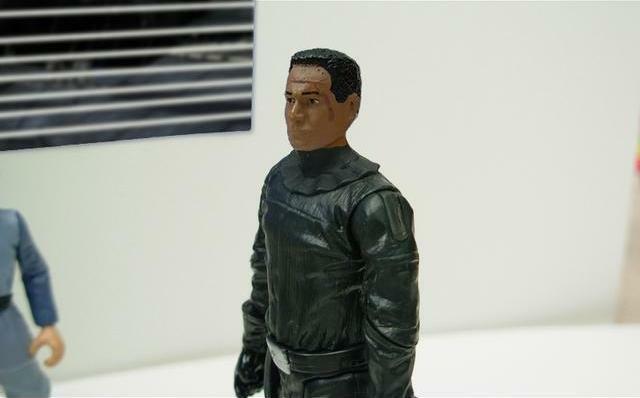 “I’m just a simple man, trying to make my way around in the universe,” the bounty hunter answered, his gaze cold. 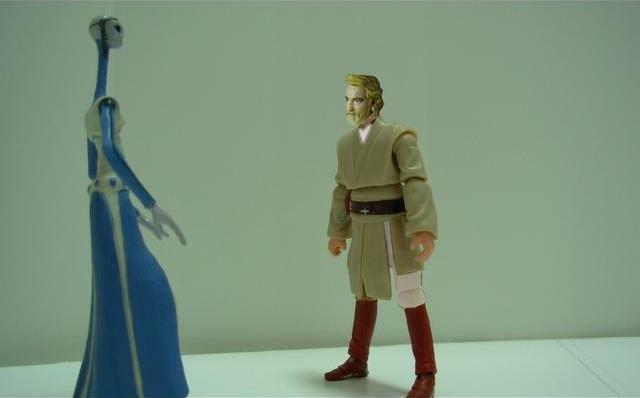 Obi-Wan’s visit to Kamino was soon over. 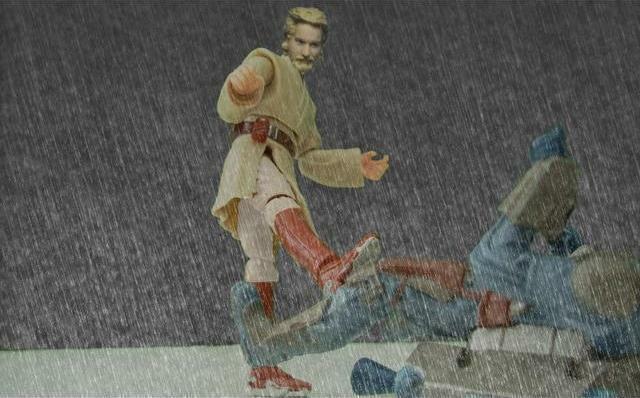 …and so he would not leaving here without a fight or an arrest. 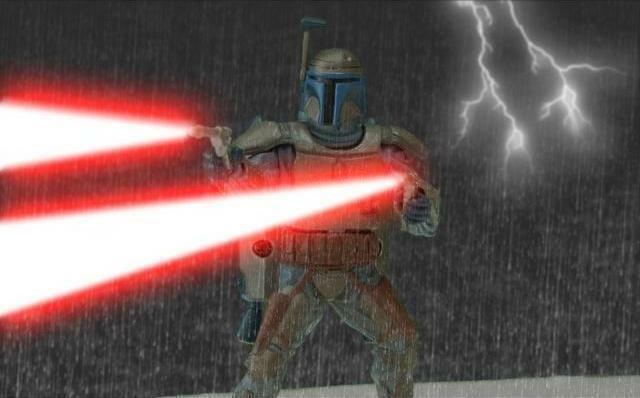 The bounty hunter, now in full armour, decided it would be a fight. 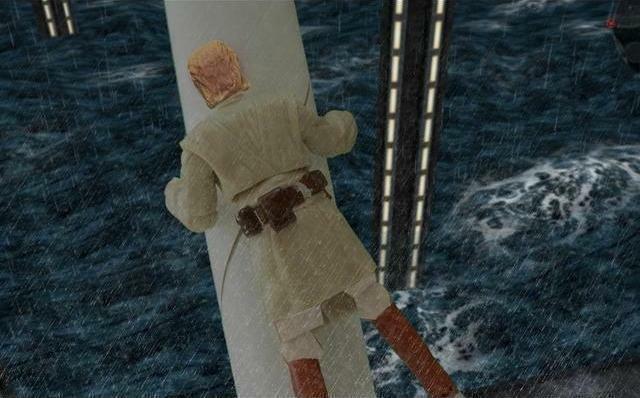 …but without him knowing, the Jedi had caught on to a pole while falling down. 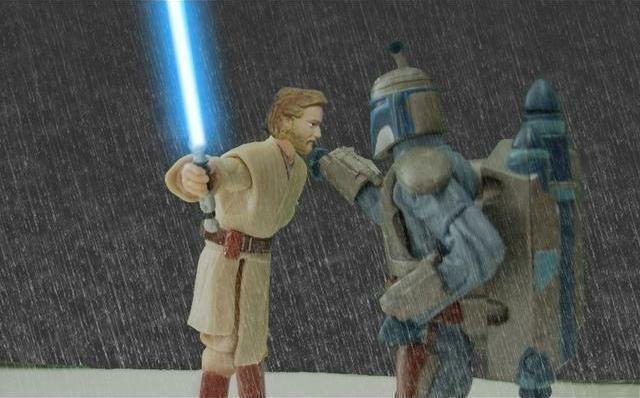 This allowed Kenobi to follow Fett in space in secrecy, which led to him the planet Geonosis. 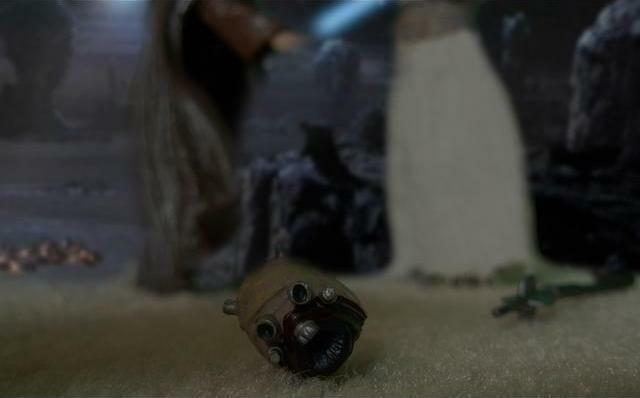 Once he had landed, he found mysterious Separatist Droid Factory, which he made his way into. 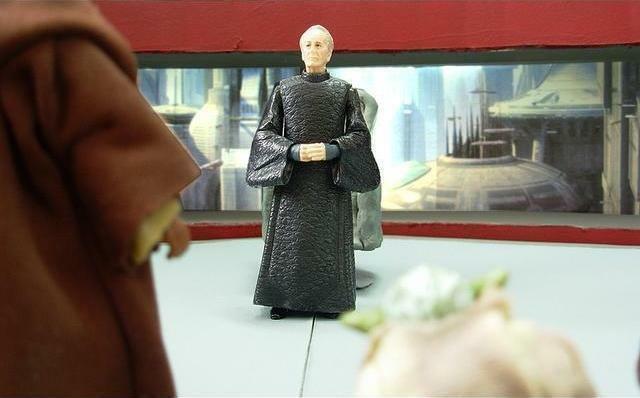 Count Dooku, head leader of the rebellion, appeared to be in a meeting with other Separatist leaders, including Viceroy Gunray of the Trade Federation. 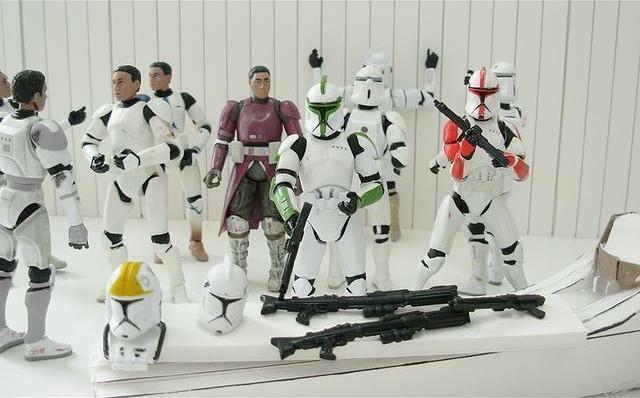 “With these new battle doids we built for you, you will have the finest army in the galaxy,” one Separatist said. 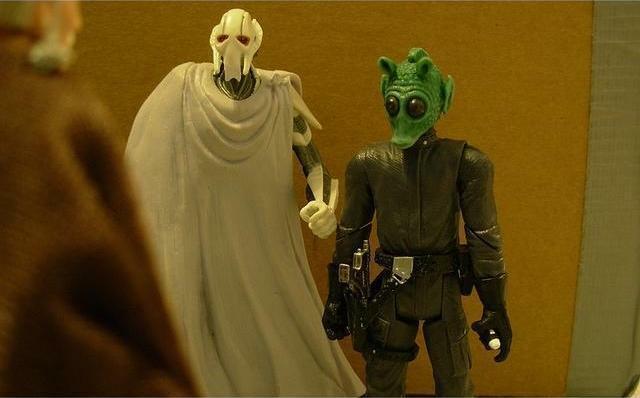 The Count then waved his hand toward a Rodian, who was standing beside a strange cloaked figure in white armor. 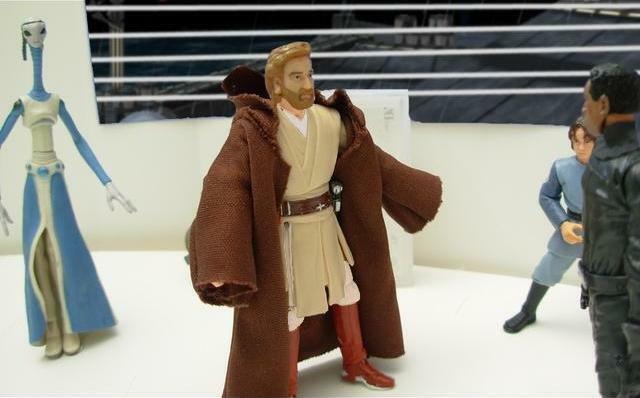 However, Obi-Wan Kenobi’s presence was discovered, and he had been captured. 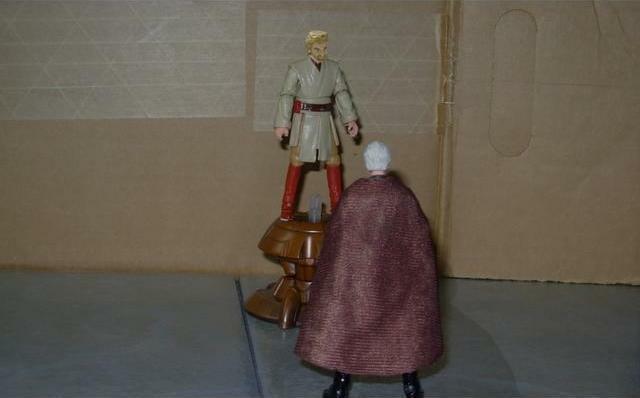 However, Obi-Wan learned many things from Dooku’s ‘interrogation’ of him. 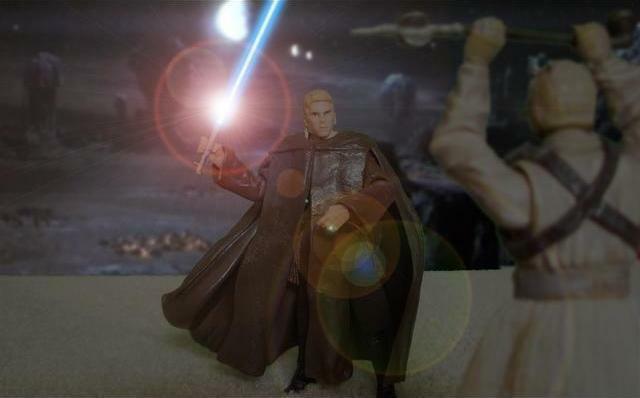 The Sith Lord had told the Jedi Knight that another Sith Lord called Darth Sidious was controlling the Senate.